Will iPhone 5 presales begin in late September with an official launch in the first week of October -- or will Apple's next smartphone launch mid-to-late October? Bottom line is, I don't know -- and Apple isn't saying a word. Two iPhone launch-date theories have emerged recently about when Apple's iPhone 5 will be announced and go on sale. More rumblings are heard about a Sprint launch for the next iPhone. Meanwhile, internal training at Apple's retail outlets for iOS 5 and iCloud is reportedly going on right now, adding more fuel to the speculation about an upcoming Apple product launch. Best Buy is reportedly expecting an iPhone 5 product launch in the first week of October, with presales possibly beginning before Friday, September 9, according to a purported internal Best Buy document mobile news site BGR got its hands on. The document also notes that Sprint is expected to launch the iPhone 5 during the first week of October. But the leaked Best Buy document appears to be doing nothing more than speculating about the iPhone 5 launch date, and also notes the supposed release date could change. Another problem with Best Buy's prediction is that Apple has yet to send invitations to an upcoming press event. The idea that presales would begin for a new iPhone before Friday without some kind of live presentation from Apple is unlikely. It's possible that Apple could host an event this week or decide not to host one at all, but so far there's nothing to support either scenario -- which would be atypical. Some of what BGR is reporting has been seen before. In mid-August, 9-to-5 Mac reported that anonymous sources said presales for the iPhone 5 would begin in late September for an October 7 launch. The blog TiPb also reported an October 7 launch for the next iPhone. A completely different theory about the next iPhone launch has emerged, and, confusing matters even more, its proponents have a Best Buy screenshot, too. While Best Buy is reportedly predicting an iPhone 5 presale window starting this week, the retailer's merchandising team is installing a large Apple display in at least one Best Buy store on October 21, according to tech blog This Is My Next. The installation is unusual, the blog says, because it requires a manager to be in store earlier than usual, at 6 a.m. Best Buy reportedly did something similar for the iPhone 4 launch. The theory, based on this information, is that Best Buy's mystery Apple display will be an iPhone 5 fixture and it will be installed in time for the official launch of the next iPhone. Apple's retail stores are getting ready for the launch of iOS 5 and iCloud by training staff on the features of iOS 5 and iCloud, according to 9-to-5 Mac. News that Apple's retail chain is starting to train on the new iOS features suggests a launch could occur within the next few weeks, if Apple stays true to form from previous iOS/new device debuts. Apple made iOS 4 available three days before the iPhone 4 launched; the company released iPhone OS 3.0 two days before launching the iPhone 3GS. Apple's latest mobile operating system, iOS 5, has more than 200 new features, including Twitter integration, wireless activation, and a new messaging app. 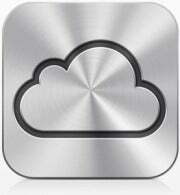 An integral part of iOS 5 will be iCloud enabling you to sync music, documents and photos across all your devices. 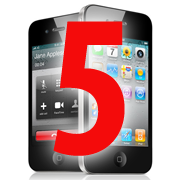 Apple recently released iOS 5 beta 7 to developers. Not much has leaked out about the specs of the expected iPhone 5, but the device will reportedly have Apple's A5 dual-core processor and possibly a higher resolution camera. The next iPhone may also have an edge-to-edge screen and return to having a metal back after the glass (iPhone 4) and plastic (iPhone 3G, 3GS) rear casings of previous devices.